The ATR spindle is universal. This means it fits all of our spacing plates. 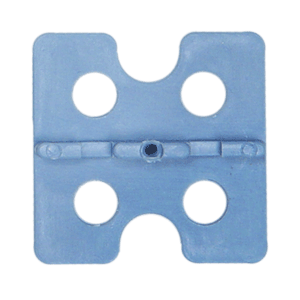 It has an ‘easy grip’ screw head, making it simple to connect to the spacing plate. The screw is stainless steel, so no rusting. It has viewing portals, so you can readily view the position of your tile. The spindle body is ridged making it convenient to grip and turn by hand. If you’re using a cordless drill, the spindle’s ridges provide purchase for your 10mm socket bit. 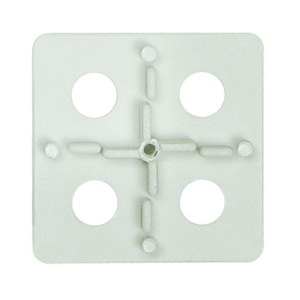 It is designed to work with tile thicknesses of between 6mm and 18mm. The spindle removes cleanly and easily. 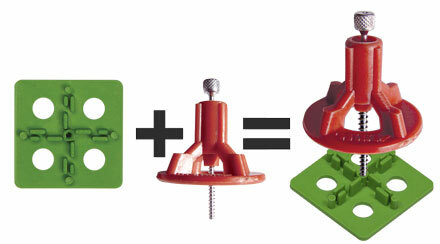 Simply unscrew by hand or back them off using a cordless drill – NO force, NO kicking, NO overclicking. There’s NO risk of fragmenting tiles or leaving any unwanted obstructions behind. Clean, simple and efficient. The spindles are reuseable, so save them for your next job. There are two families of spacing plates. There are the floor spacing plates and the universal spacing plates. The plate’s spacing device, which creates the gap between tiles, or the grouting space is what determines if it is a floor or a universal spacing plate. The width of the plate’s spacing device which creates the gap between tiles, or the grouting space is what determines if it is 3mm or 2mm. 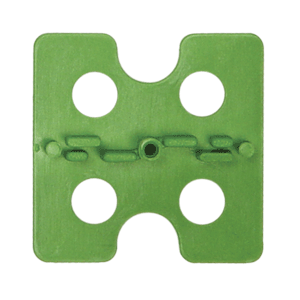 The floor spacing plate with its patented blade design is created to flex and accommodate structural movement. They have been designed exclusively for use on floors. 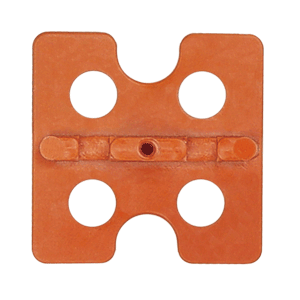 The plates’ holes and edges purposefully allow penetration of adhesive and permit contact of adhesive with the tile. The products are colour coded. 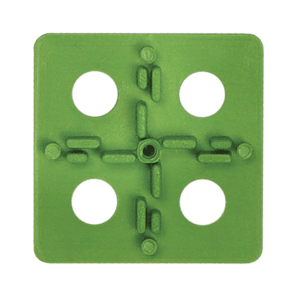 All 3mm spacing plates are green. All 2mm spacing plates are white. We do not recommend the use of floor spacing plates on walls. Visit our guide pages for additional information. Our products are designed to meet Australian Standard AS 3958.1 “Ceramic Tiles” *. The robust nature of the universal spacing plate makes it the heavy lifter of the ATR Leveling System product range. 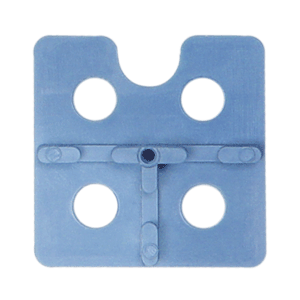 The spacing device of these plates will not flex, so it can support the weight of tiles, and resist the forces of gravity when used on vertical surfaces such as walls. Being universal it can be used on walls and floors. 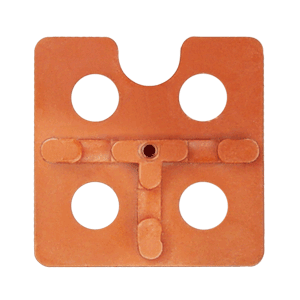 The plates’ holes and edges, like the floor spacing plate, purposefully allow penetration of adhesive and permit contact of adhesive with the tile. 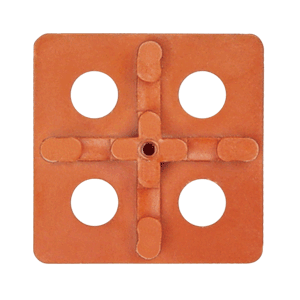 In addition, the innovative plate design permits greater depth of grout over the spacing plate. The universal range also includes the T spacing plate. T spacing plates were created to deal with non-grid tile patterns. These would include brickwork, herringbone, and random roll patterns. In fact, many different offset tile patterns can be succesfully installed because of the T spacing plate. The products are colour coded. All 3mm spacing plates are orange. All 2mm spacing plates are blue. 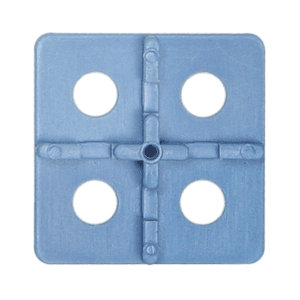 The universal spacing plates, because of their versatility, are a favourite amongst many professional installers. Turn the spacing plate over and look underneath. IMPRESSIVE! The base of all ATR Tile Leveling spacing plates is solid. The solid base is designed to halt the spindle and prevent any possibility of the spindle breaching the underside of the plate. 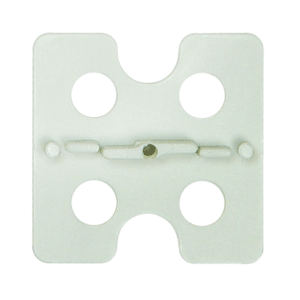 The spacing plate design protects membranes or any other surface linings. Use the ATR Tile leveling system with confidence in wet or dry areas! This ATR product makes tiling life just that little bit easier. 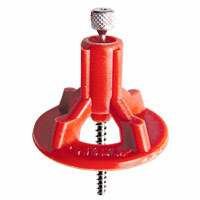 The socket bit is guaranteed to securely fit the ATR Leveling spindle. 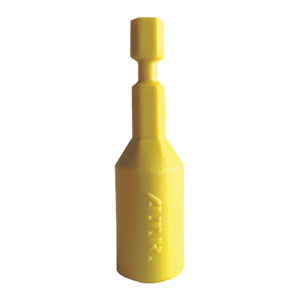 The ATR socket bit has a longer shaft than most standard socket bits, so it can readily accommodate movement of the spindle body up and down the spindle screw. 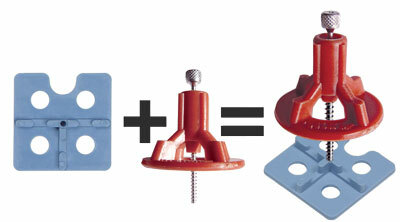 Attach the socket bit to your drill, and you can adjust the spindle quickly and easily. Removing the spindle from your tile installation when the tile adhesive is dry is also a simple process. To get the best result using a cordless drill, visit our guide page on this topic. Become a better time manager, and a smarter tile installer with the assistance of the ATR socket bit.